​Watford midfielder Roberto Pereyra is a target for Premier League rivals Chelsea, according to the player's agent. The 28-year-old has been one of Watford's standout players so far this season, starting every one of their 21 Premier League games and contributing six goals - leading the club's goalscoring charts alongside captain Troy Deeney. 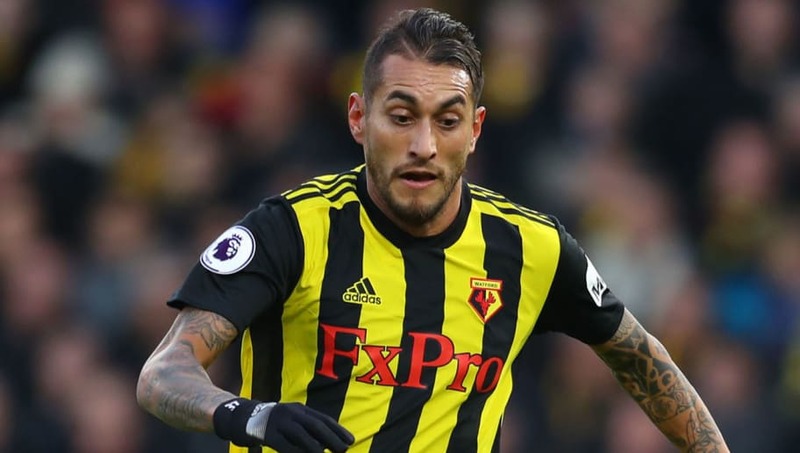 His impressive performances have fuelled speculation that Pereyra could move on from Vicarage Road, with his eye catching performances reportedly courting interest from both home and abroad. Now, agent Sergio Furlan has claimed that Chelsea manager Maurizio Sarri holds a long standing interest in signing Pereyra, along with Torino manager Walter Mazzarri. "2018 was the year of his take-off," Furlan began, as quoted by the Mirror. "He scored a dozen goals in a calendar year, something he’d never done before, and we’re talking about a midfielder, not a striker. “He starts from the left and comes inside. The coach [Javi Gracia] is getting the best out of him in this position and he’s doing very well. [Torino boss, Walter Mazzarri] likes him, but so does Sarri. Maxi has great esteem for Mazzarri because he’s a sincere man." He continued by playing down the notion of a January move, but admitted that Pereyra harbours hopes of playing European football once more. He added: “A transfer in January? You can never say never in the market, but I tend to exclude it almost categorically. Chelsea also tried, but without success. To Toro in the summer? It would amaze me if they didn’t try again, but we must see Maxi’s desires, Watford’s plans and the offers that will arrive. A reunion with Mazzarri in the future should not be ruled out for Pereyra, as it was the former Watford boss who brought him to the Premier League from ​Serie A. A move to Stamford Bridge and Chelsea, however, may be a little more left field despite Sarri's reported admiration of the player - with Christian Pulisic already due to arrive at the club in the summer for £57m from Borussia Dortmund.